Increasingly, Western culture defines personal freedom as “whatever works.” The compilers of the Oxford English Dictionary even went so far as to name “post-truth” their word of the year in 2016. This begs the question, can truth be saved? Abdu Murray, author of Saving Truth: Finding Meaning and Clarity in a Post-Truth World believes that it can and joins Hank to discuss how we can rediscover truth and change the direction of our culture. How can Christians offer truth and clarity to a world ... See More that shuns both? 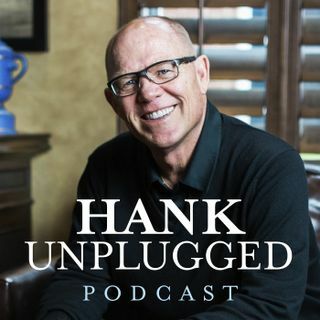 Listen to this edition of Hank Unplugged to find out. Topics discussed include: Islam, eschatology, and why the gospel of peace must trump the politics of prophecy in the Middle East (2:00); Abdu Murray’s conversion to Christianity to Islam and why Christians must be equipped with answers (7:00); the emotional cost of conversion for Muslims who come to Christ (12:30); Saving Truth: Finding Meaning and Clarity in a Post-Truth World (16:25); the problem with practicing apologetics in the post-truth world (18:50); “Let your speech always be gracious, seasoned with salt, so that you may know how you ought to answer each person” (20:10); remembering Nabeel Qureshi and learning from his example (23:20); how Murray went from using an alias asking questions on the Bible Answer Man Broadcast to reviewing Hank’s book MUSLIM: What You Need to Know About the World’s Fasting-Growing Religion (25:30); fake news and explaining the soft and hard modes of post-truth (26:45); confusion in the church and why Christians are succumbing to a post-truth culture (32:25); The definition of apologetics and recognizing that all Christians are called to be apologists (35:40); Valuing autonomy over authority when it comes to truth and the consequences (42:45); can there be freedom without truth? (49:25); what we can learn from Christians persecuted globally? (52:00); two ways that Christians are contributing to a post-truth culture of confusion (57:00); trusting in God’s sovereignty and remembering that it is never too late in life to make a difference (1:00:40); a lesson Abdu Murray learned from asking Ravi Zacharias a question (1:04:30); a culture of confusion and the distortion of human dignity (1:07:35); the importance of attaching our identity to Christ (1:11:20); and the tyranny of tolerance today (1:18:10).